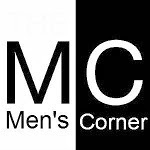 Men's Corner: How to tie a tie? There are many ways you can tie a tie, and the choice will depend on many factors of preference, the height of a man to tie. How long tie should be? Tie after binding should be up to the belt, the better 1 cm below the belt, but shorter. What to consider when choosing ways of binding ties? - Type of tie - traditionally designed ties and traditional ties are more suitable for smaller node, while the modern tie and a lighter spring ties better with multiple nodes. He is known for the tie tied in four steps. It is the easiest and simplest way of binding ties. It looks good on most collars. It is important that when the tie is tied thinner that is the lower part of the tie to be shorter and below, as well as to be invisible. Although this way of binding ties created quite a small knot and not using a lot of tie, if you are tall and have a problem with that after teeing a tie, look for a long tie when shopping. This node is also small and not complicated. More preferred for tall men. This way tie 'is suitable for lower men, especially when it comes to silk ties. So, if after the usual tie 'tie stays too long, try this type of binding. This method is suitable for tall men or for shorter ties since it uses less material to tie the knot. This way tie 'is very popular, and is suitable for men of medium height or lower due to a double-node that uses more material during curing.